That’s the number of hours—on a very conservative calculation, actually—I spent at Falvey Memorial Library during my years at Villanova University. As an undergrad working at Circulation, I averaged perhaps around eight hours per week for two academic semesters in each of my four years. And as Programming and Outreach Graduate Assistant from 2010 – 2012, I averaged just over 20 hours per week over four semesters. But Falvey wasn’t just where I went to work. It was where I went to … well, work, too. If I guestimate I spent 10 hours per week there pursuing academic endeavors (though, most weeks, I know it was much longer than this!) for 32 weeks over six years, I’m likely approaching 5,000 hours. So when Joanne Quinn, Falvey’s Team Leader for Communication and Service Promotion, reached out to ask if I’d offer favorite memories at Falvey, I didn’t know where to begin. After so much time, I’m not sure I could sum it up in just one or a handful of memories. Falvey was, and is, a home inside a home. I was part of teams that I knew were making a difference to the campus community. And though students might think I’m crazy for saying it, Falvey is a source of comfort on campus. It’s the research partner we know is always there, the cup of coffee on the rainy-day hike across campus, the printer when the paper is due in 10 minutes and the book that you needed (or, at least, wanted) to make the grade. Most of all, I’ve watched Falvey truly become a learning commons shared by students from every academic college and discipline. It has taught thousands of us the values of knowledge and preparation, collaboration, research and perseverance. Often those lessons are missed when they come at 3 a.m. in the middle of finals, but they’ve shaped us nonetheless. I don’t think we were ever content to just “let things be” at Falvey. For example, during my time there we actively sought to enhance our capabilities for academic conversation through new and compelling lectures and special events. I was often impressed by how much our effort was appreciated by Villanova community members. It was soon clear that we became continually better as a community by extending the classroom learning process in new and creative ways. One thing I really loved about my time as Programming and Outreach Graduate Assistant was that I could directly and consistently contribute to the campus’ academic and social growth. The effort our team and I spent planning for, coordinating and running events provided new venues and opportunities for personal, professional and academic development. Everyone who has passed through will, I hope, use that knowledge in their lives and careers. And that means the seemingly minor parts of what we did – setting up chairs and podiums or preparing a PowerPoint – in reality can have a big impact. Just 10 sources on that paper? Why not push the envelope and develop the argument further? Or, just one event space in Falvey? Why not open up even more possibilities with four of them? This, I think, is a big part of Falvey’s role at Villanova. Everything about the Library challenges us to learn, to work harder, to be better for ourselves and for our Villanova community and to contribute something back to those who have supported us. Just one year out, I miss the home that Falvey was for me and everyone with whom I was privileged to work. It will always challenge me towards excellence (even when that excellence isn’t a delirious spark of inspiration on a final paper!). For that, I’m grateful, and look forward to Falvey’s future in Villanova’s story! 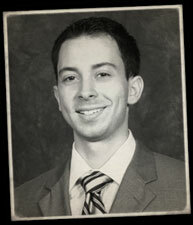 Jeff Eisenberg ’10 LAS, ’12 MA is currently a marketing specialist at Xtium, Inc. in King of Prussia, PA.